The skyline of Doha, Qatar, where Northwestern and five other U.S. universities have campuses in Education City. NU-Q remains open after several Arab nations broke diplomatic and economic ties with Qatar last week. 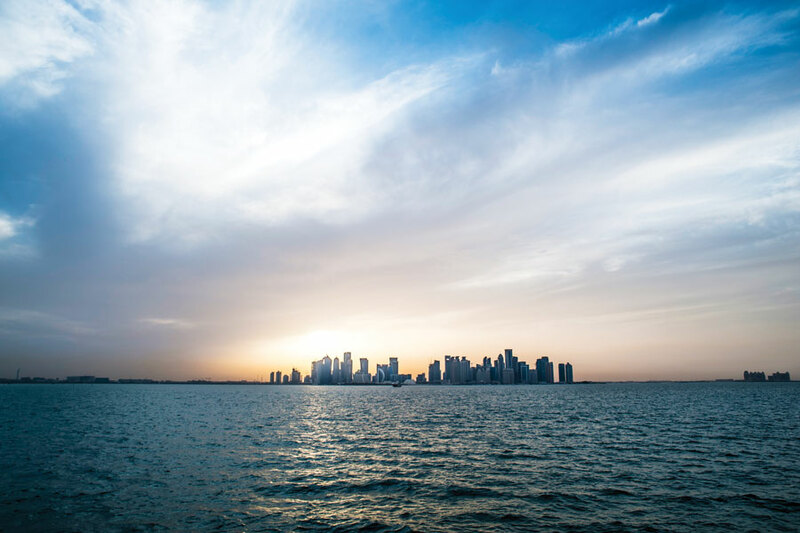 One year after former Faculty Senate President Stephen Eisenman visited Northwestern’s campus in Doha, Qatar, the art history professor’s concerns about Northwestern University in Qatar remain. In a report released last March, Eisenman raised questions regarding censorship, faculty appointment and academic freedom at NU-Qatar, which is one of six U.S. schools with branches in Education City, a multi-university campus on the outskirts of Doha. In the report, Eisenman noted the faculty at NU-Qatar have limited academic freedom. “This is not so much because they fear they will run a foul of Qatar’s strict censorship laws, though that is a possibility, but because most are untenured and largely answerable to the NU-Q dean alone,” he said in the report. Full academic freedom is essential, Eisenman told The Daily. In addition to his observations, Eisenman’s report included nine proposals related to his concerns. Among them was the recommendation that NU-Qatar encourage the expansion of scholarship programs, which are funded by the Qatar Foundation — the education nonprofit organization that oversees Education City — to provide aid for low-income and non-Qatari students. Eisenman also proposed NU-Qatar create a policy governing faculty appointments, as well as a shared governance structure for faculty to have a voice in the structure of programs. He also recommended NU-Qatar consider appointing faculty members for five-year terms, as contracts currently range from one to four years. Eisenman also said it is important to ensure that NU can sustain a journalism program in Doha of equal caliber to the one offered in the U.S. The Doha program should not be compromised in the quality of teaching or the expectations of faculty and students, he added. “At this point, we ought to undertake a serious review of the program, and if in fact we discover, as is my observation, that there are serious constraints on journalistic practice there, then we ought to undertake a serious reevaluation as to what steps to take,” Eisenman told The Daily. He also expressed potential concern about a 2008 U.S. government cable from Qatar, which was published by WikiLeaks and discussed the news organization Al Jazeera. Dennis also said a number of Eisenman’s recommendations were already in place, including open faculty recruitment, a shared governing structure and policies on faculty appointments. Some of Eisenman’s proposals, however, are not within the scope of NU-Qatar, he said. “All scholarships are administered by the Qatar Foundation, which limits our ability to determine the allocation, though we’ve been working on this for several years and some changes have been affected,” Dennis told The Daily in an email. Regarding Eisenman’s concerns about faculty appointment at NU-Qatar, Dennis said reappointments are common, as faculty contracts vary in length. Longer contracts can be impractical because the University’s contract with the Qatar Foundation is eligible for renewal every ten years, he said. Dennis also disagreed with Eisenman’s concerns about limits on academic freedom at NU-Qatar. “After leading this campus for nearly five years, based on decades of experience in the academic world, I — and my colleagues at NU-Q — are confident that both the spirit and the intent of academic freedom is alive and well on our campus,” he said.